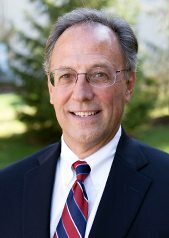 Jerry Horning, an attorney with Nager, Romaine & Schneiberg, Co., L.P.A., has represented thousands of injured clients since 1984. He has attained the highest Martindale-Hubbell peer review rating, AV Preeminent. His civil trial practice experience includes a wide range of personal injury litigation, including wrongful death, medical malpractice, workplace injuries, insurance coverage, uninsured motorist, product liability, premises liability and auto accidents of all types. Jerry has litigated small business and real estate matters, including mortgage foreclosures, and has extensive workers’ compensation litigation experience. He has resolved thousands of personal injury cases by settlement, litigation, arbitration, mediation and trial and argued cases in several appellate courts, the Ohio Court of Claims and the Supreme Court of Ohio. His Supreme Court oral argument on behalf of an injured police officer can be viewed on the court’s website, Oral Argument Archive, Case No. 2005-1828. The case is Ronald Rose v. City of Garfield Hts. et. al., 2005-Ohio-4165, 2006-Ohio-5698. Prior to law school, Jerry served as the assistant director of Cleveland’s Department of Public Health and Welfare, where he supervised programs in primary health care, environmental health, air pollution control and prison administration for a department with over 500 employees. Jerry resides in Bay Village with his family.